The famous “Beast” is a Bullet Proof Tactical Combat Vest developed by Bravo8 that has been tested and proven to perform on the field by receiving a rating of Level IIIA from the USA National Institute of Justice (NIJ 0101.06) for soft body armor. 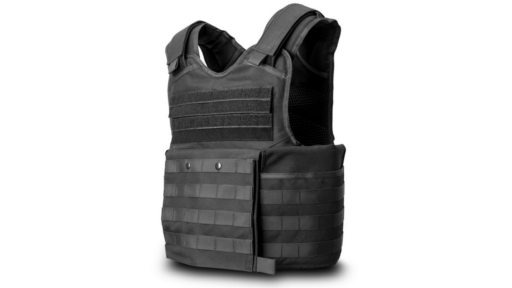 The “Beast” is an outer tactical vest used by military and law enforcement agencies at home and abroad due to its efficient design which maximize the operator’s comfort and mobility without sacrificing protection. This ballistic tactical combat vest is the best you will find when it comes to quality and is incredibly bold due to its light weight Kevlar design - combined with features such as fully adjustable padded shoulders straps, interior mesh lining for maximum air circulation, and 360 degree MOLLE coverage for increased load bearing support. Soft armor panels have been tested to defeat: .9mm, .357, .44 Magnum rifle, .45, .40 S&W FMJ and lesser threats.